I'm so obsessed with leopard print at the moment even more so since getting my hands on the set of Barry M nail art pens that are available. For the last few Mani Monday's I've been doing leopard print and this week it shows again. Gelly nail effect - prickly pear for the base, Silver from foil effects and the black art nail pen are from Barry M, along with the top coat which is from the glitter collection Rose Quartz. 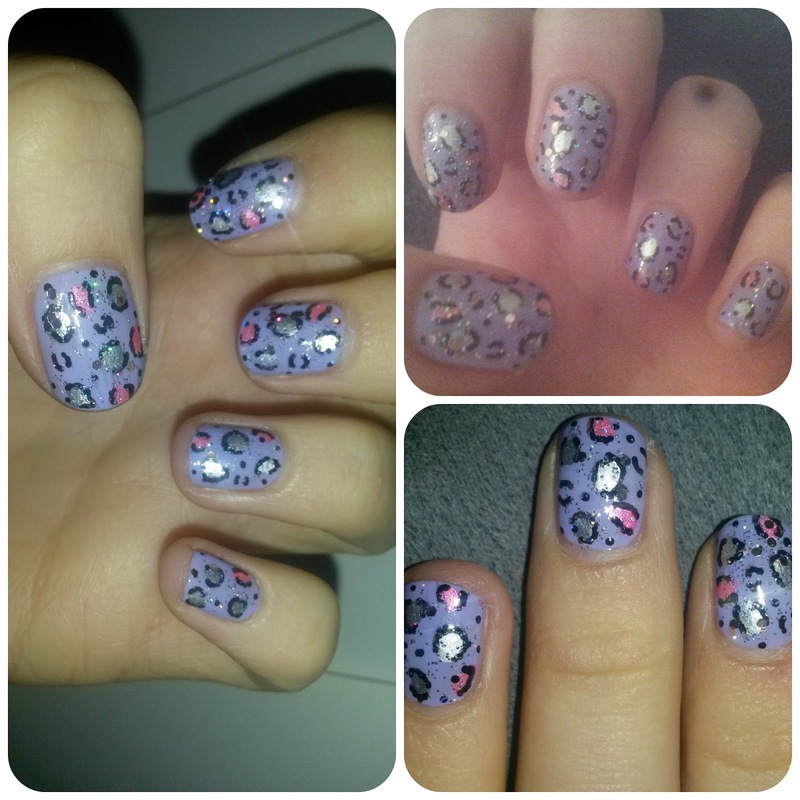 For the pink leopard print I used Models Own Lili's pink. I don't know about you, but this totally reminds me of them groovy chick cards you could get in the late 90's. I would always get one on my birthday. I love leopard print and you've really made it look modern but 90's at the same time :D, xoxo.